Part 3 of 3, continued from the previous issue. Batman, Black Wolf and Dog join forces to prevent an horrific act of mystical vengeance deep in the caverns of the Grand Canyon, leaving the Dark Knight at battle's end with...a new partner? 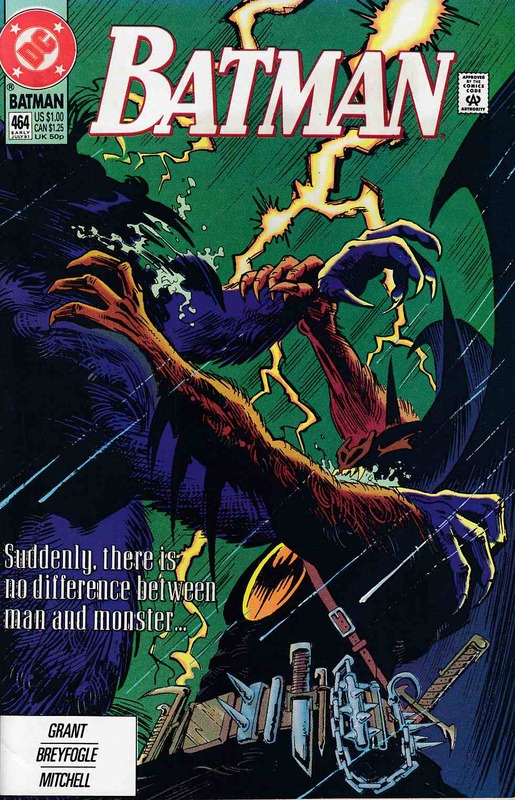 Written by Alan Grant, with art by Norm Breyfogle and Steve Mitchell. Cover by Breyfogle.